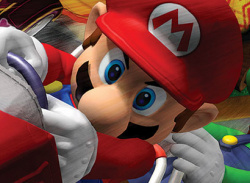 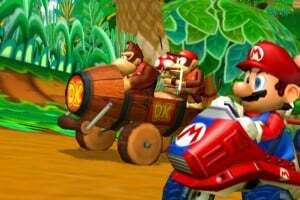 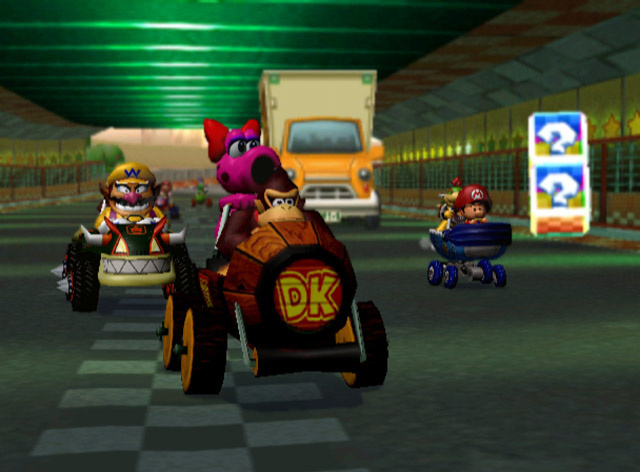 Review Mario Kart: Double Dash!! Double the usual number of exclamation marks means double the fun!! 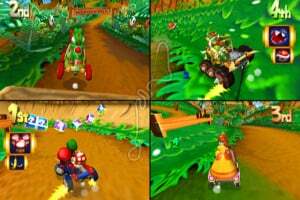 Pick a partner and race through wild courses as you compete in tough circuits or duke it out with power-ups and items in battle arenas. 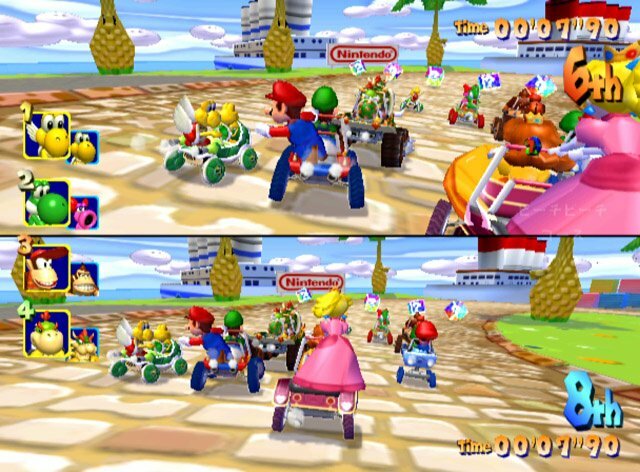 Double the fun! 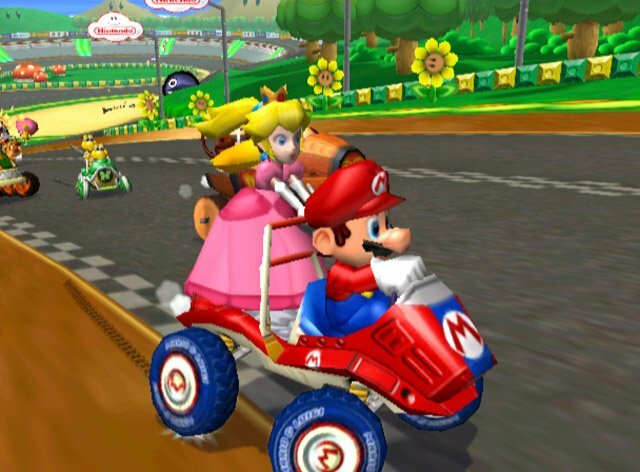 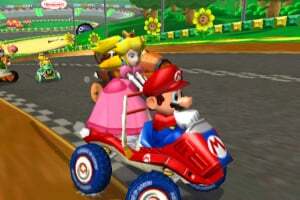 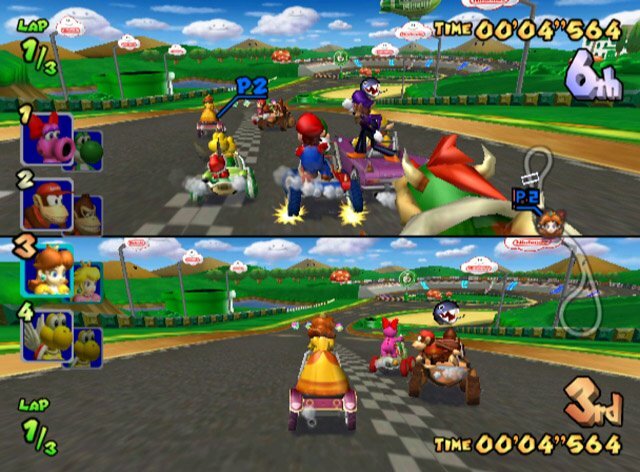 Each kart holds two racers that can switch places at any time. 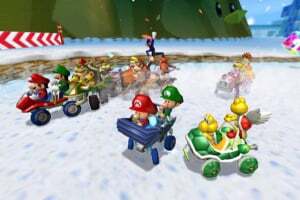 Choose from a huge cast of favorites, like: Luigi, Peach, Baby Mario, Baby Luigi, Wario and many more, and pair them up in any combination. 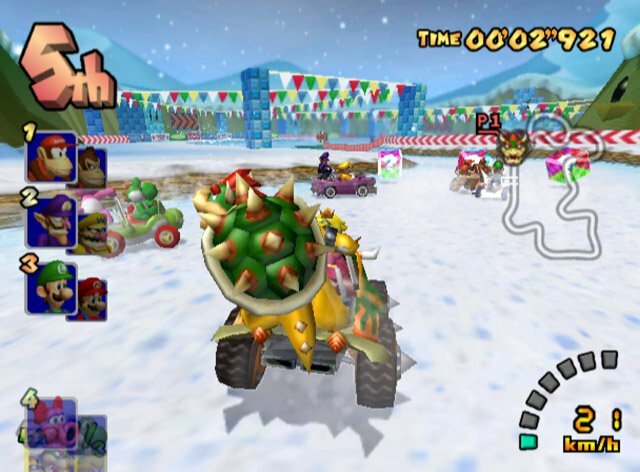 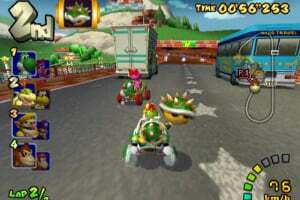 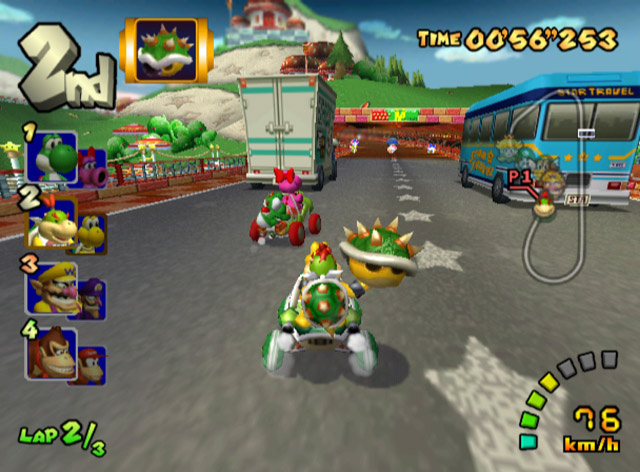 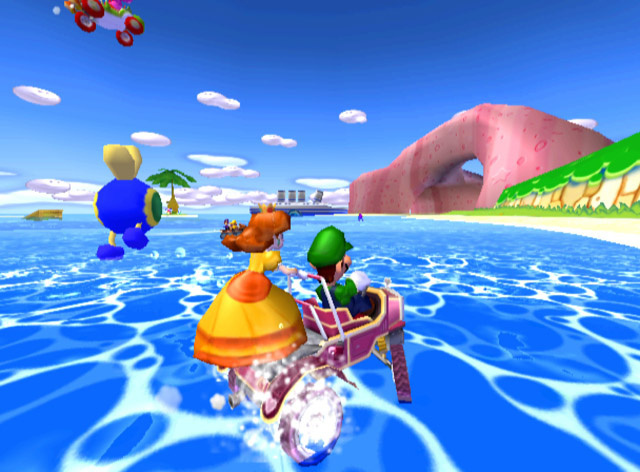 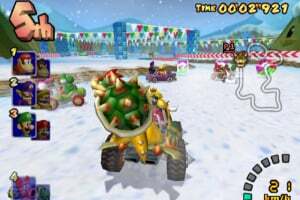 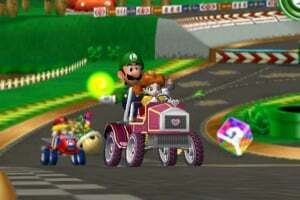 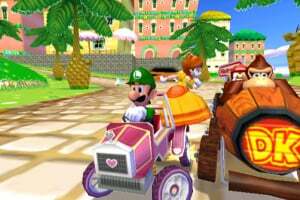 The character in front handles the driving duties, while the character in the rear doles out damage with six different items plus eight special items that only specific characters can use. 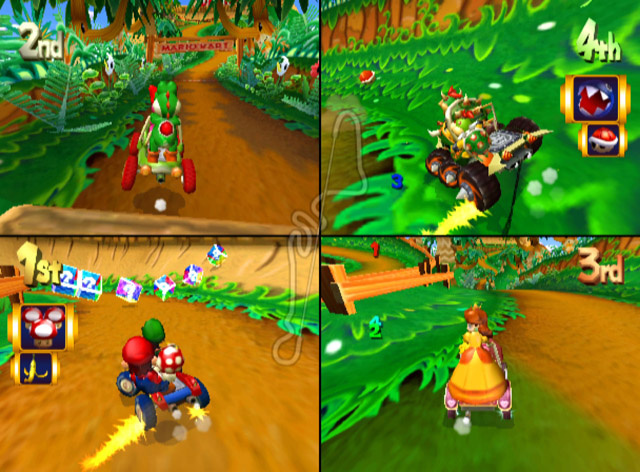 Reach new levels of frenzy with four-player mayhem, as each player controls two characters as they speed through Mushroom Kingdom courses. 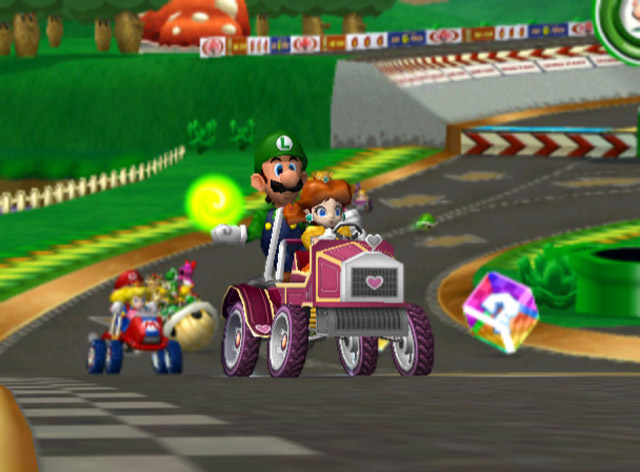 Place first in racing circuits to open up progressively more difficult circuits. 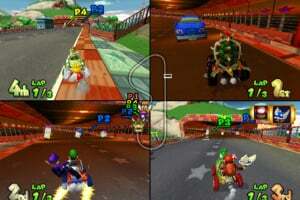 Of course, you can have multiplayer races on any open courses or battle in arenas. 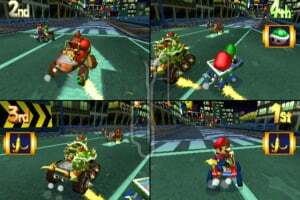 Link the game with eight other players using a broadband adapter and race each other side-by-side using multiple game systems and multiple televisions! 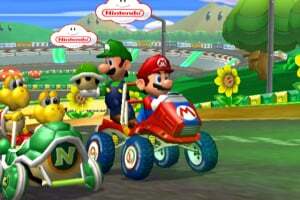 this game is so cool! 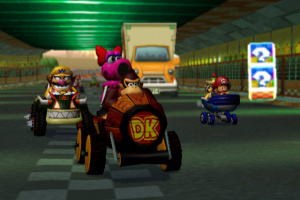 especially the fact that you can have 2 characters in 1 kart. 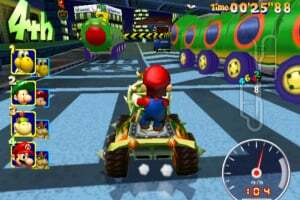 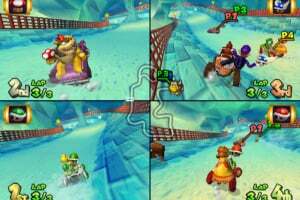 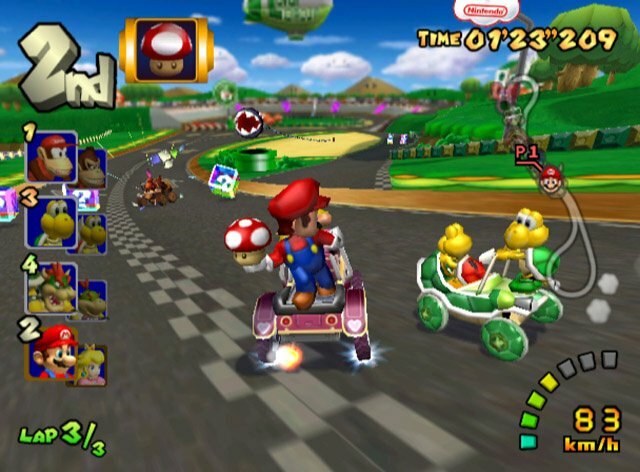 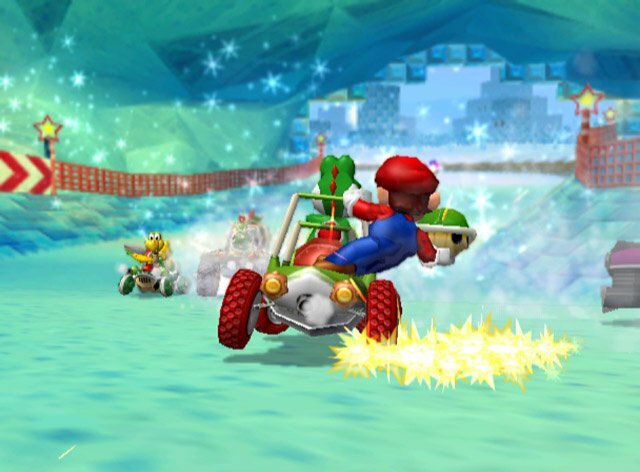 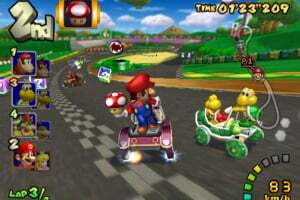 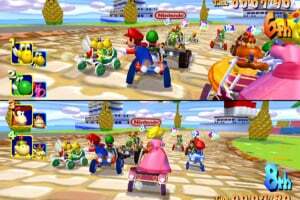 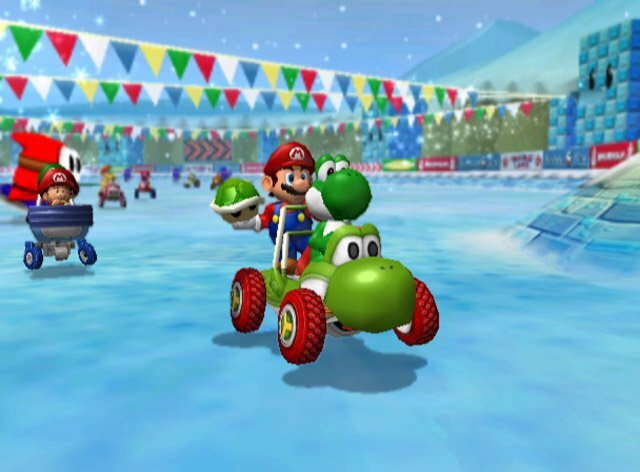 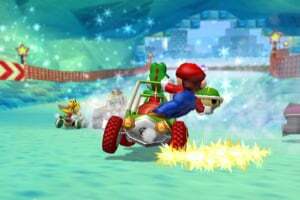 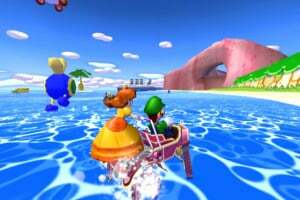 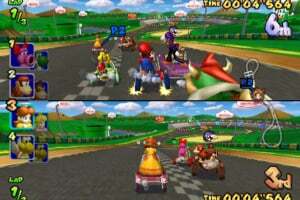 in MKWii they should've gave you the option to play with 2 people in 1 kart or play with 1 person in 1 kart! 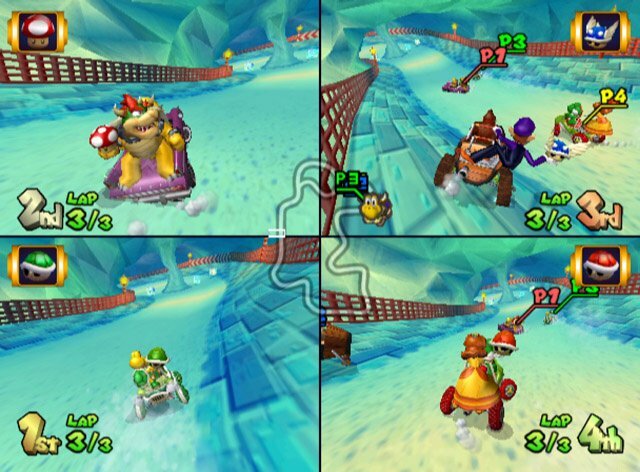 This is the best Mario Kart. 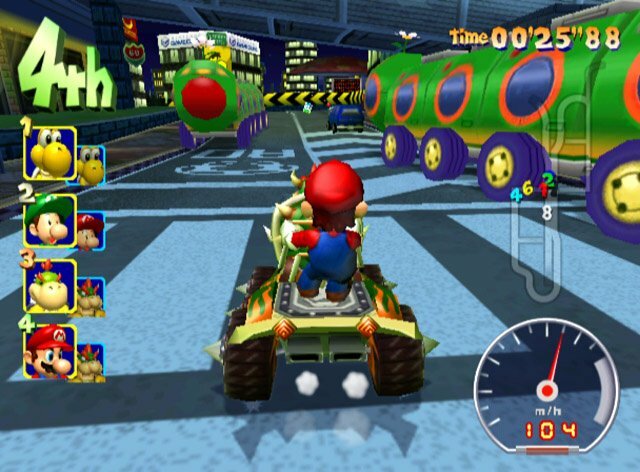 Graphics and sound took a huge leap. 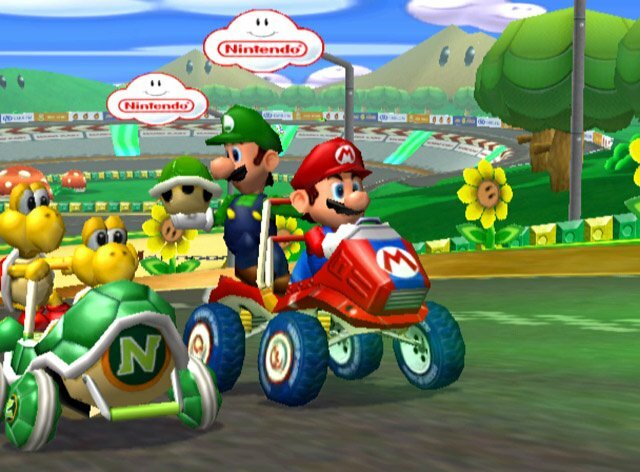 New 2 people per Kart and they really made it work. 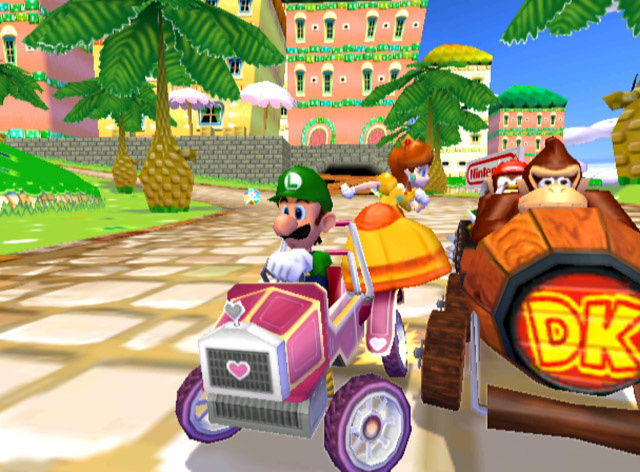 Speciality items for all the characters. 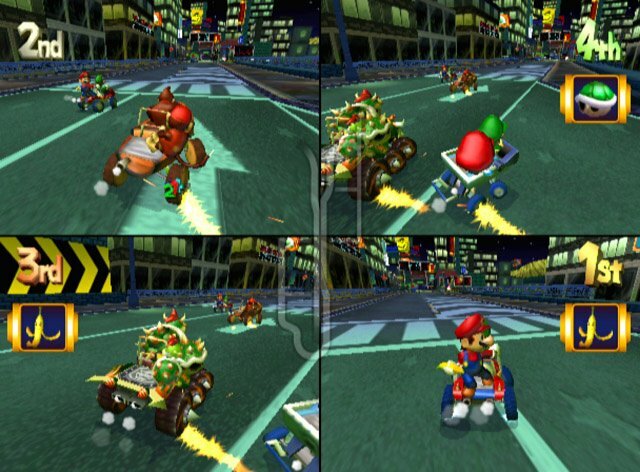 Not sure why those things didn't carry over to the sequels. 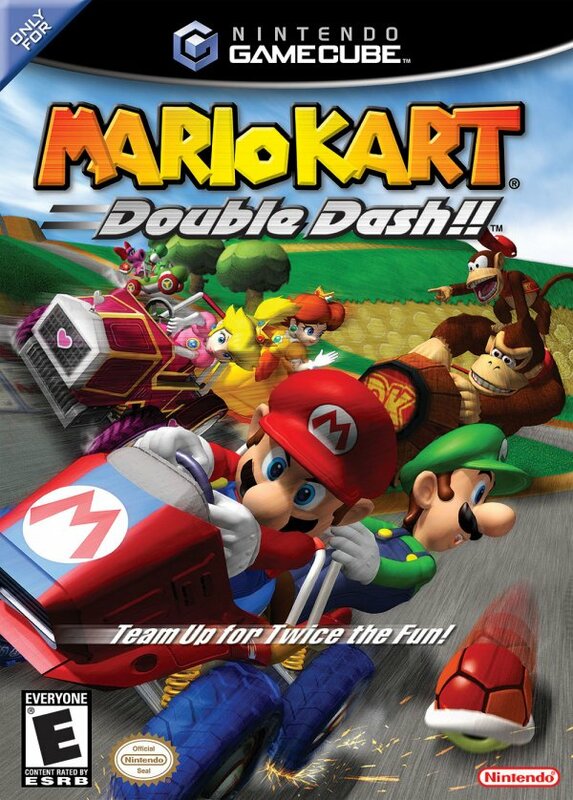 Such a great and underrated game. 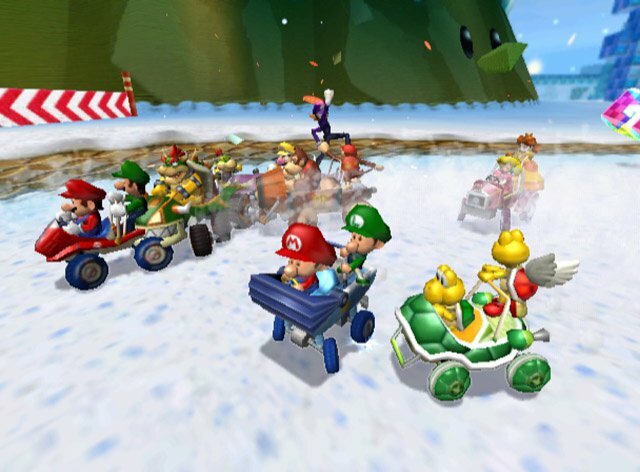 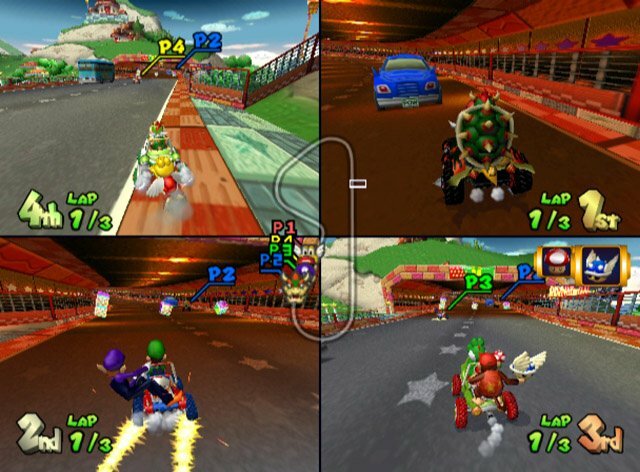 Poll Which is the Best Mario Kart Game?